Kendall has been active in the insurance and financial services industry since his graduation in 1986 from Lewis & Clark College in Portland, Oregon. Kendall has extensive experience in dealing with the needs of wealthy individuals and closely held business owners. 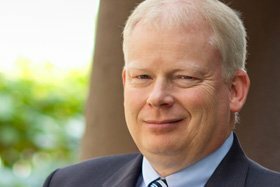 He served for five years as the Oregon Region Estate Planning Specialist for Merrill Lynch and, more recently, as a Regional Director for Massachusetts Mutual Life, overseeing product distribution over a nine state territory, calling exclusively on national brokerage firms and national wirehouses. Throughout his tenure at both firms, Kendall regularly met with high net worth clients and their advisers, offering counsel and guidance in dealing with estate and estate tax planning, business succession planning, and planning for individuals with concentrated equity holdings in both public and private companies.